We’ll be fishing aboard Mal de Mer, a 26′ Cobia center console, perfect for chasing the fish of the Northeast on the spin or fly, live bait, or on the troll. Fishing from a center console provides the flexibility to cast to breaking fish, one of the most exciting ways to fish in the Northeast. We’ll leave from historic Plymouth Bay and fish mostly within the confines of Cape Cod Bay, depending on the time of year. We recommended a maximum of 4 anglers. 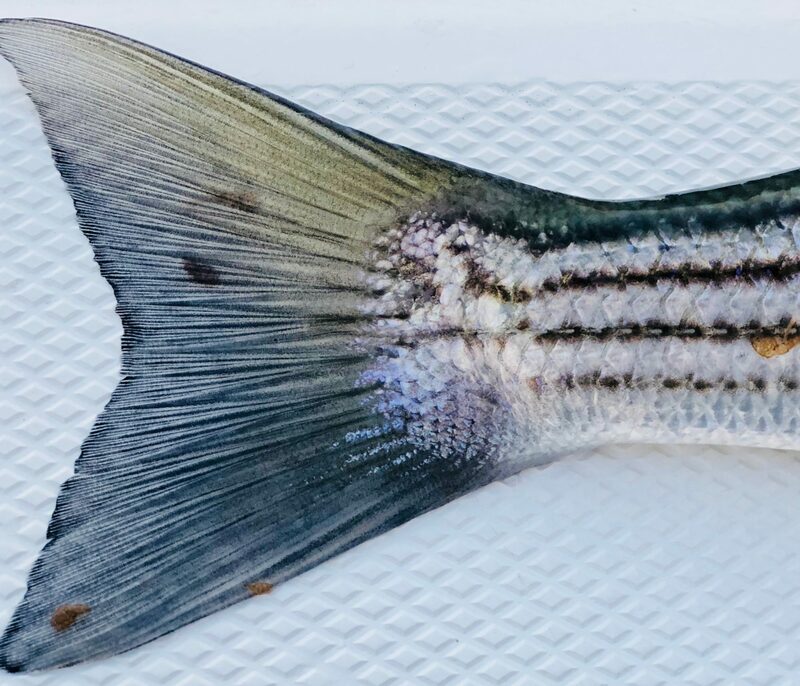 We’ll use live bait, lures and trolling methods to catch stripers around Cape Cod Bay. Striper fishing has only improved the past few seasons and double digit days of keeper bass are not uncommon. And when the bluefish show up later in the season, it can be lights out. A half hour ride out of Plymouth Harbor puts us within striking distance of stripers up to forty pounds. Can’t get enough people to fill the boat? No prob! We’ll be running a bunch of open boat days throughout the season. These will be announced on the blog and social media. Full and half days available. This will be a nice casual, fun educational trip. Target cruising stripers on the flats, guzzles, rips and channels throughout Cape Cod Bay. Or, hunt down blitzes and throw plugs to cows. Heavy focus on teaching during these trips. Learn where and when to target fish on fly and light tackle. The haddock bite has been red hot the past few seasons. Book now to get in on this excellent bite before the stripers show. They’re a ton of fun to catch, especially for kids. Did I mention they’re delicious? Down in Buzzards Bay, inshore bottom fishing is fast and furious. Fill the coolers with the tasty bottom dwellers in the other Bay. Great for kids. Spend the morning targeting blitzing stripers and the rest of the day filling the coolers with tasty bottom fish fillets. The best of both worlds. Every sunset cruise comes with a lesson from Capt. Bill, our resident historian. BYO(C)hampagne.